When the moon did rise it filled the forest with the light of bones. By moonlight it was easy to ride faster. 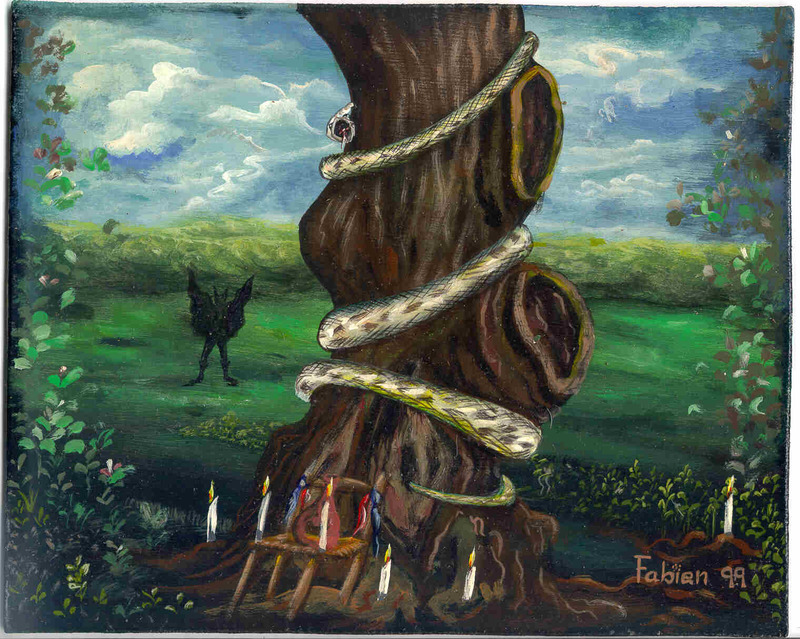 My spirit led me to a tree where hung the skull and bones of a longhorned goat and the cross of Baron Samedi. Here I reined up my horse, and looked at the ground, the fallen leaves piled under moonlight. The grave had long ago filled in or washed away but still I felt a hollow. In this place Riau had helped Biassou to take the flesh of Chacha Godard from the ground and make it breathe and walk again, a zombi.